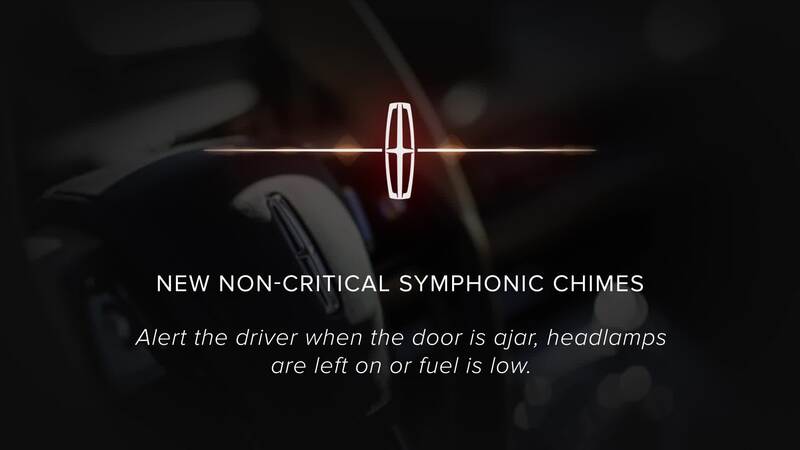 The new Lincoln Aviator during the Detroit Symphony Orchestra was used to create alert chimes. The Luxury manufacturers are always looking for more ways to increase the level of ambiance, and Lincoln went so far as to contract some of the best musicians in the world to create a more comfortable atmosphere. In total, the musicians created six different alert chimes for 25 different alerts the Aviator could provide. The alert chimes fall into three different categories Lincoln uses for warnings: non-critical, soft-warning chimes and hard-warning chimes. They are all made using a blend of percussion instruments, violin and viola. Lincoln plans to expand the instrumental sounds across its entire lineup eventually. These chimes will represent warnings for things like an open fuel door, unbuckled seat belt, the lowering of the power liftgate and plenty more. It’s not a bad day when leaving your headlights on or door open lead to a pleasant musical sound coming from your speakers. All the sounds seem appropriate for their particular functions, and do sound more pleasing than the normal alerts. Lincoln says the musicians initially came up with 125 different sound options before they narrowed it down to just six. While it might feel a bit gimmicky at face value, a calming sound playing versus an annoying beep might reduce in-car aggravation. The Aviator with these warning sounds will be revealed at the LA Auto Show at the end of the month as well. It was originally shown as a close-to-production-looking concept car at the NY Auto Show earlier this year. All the official production details will be coming in LA. We’ll be there in-person to tell you if these new musical chimes are a win.